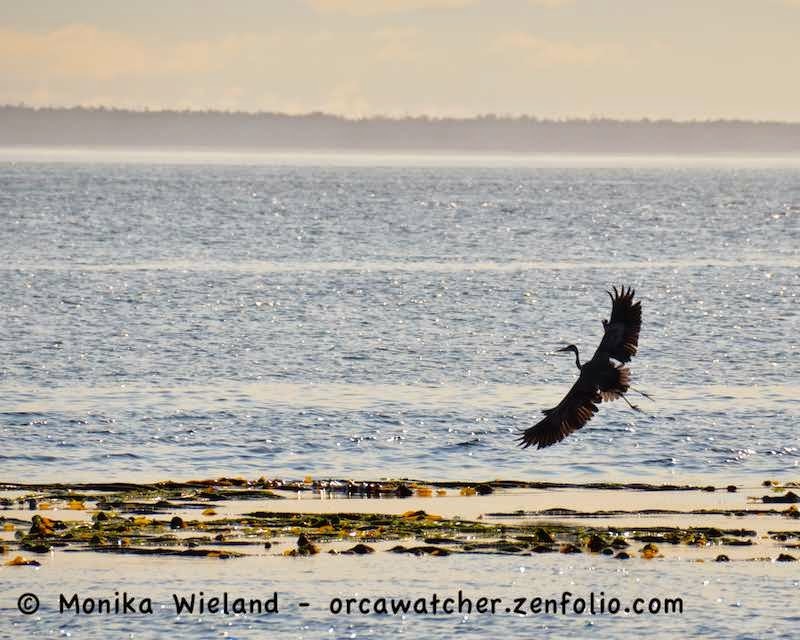 While the resident killer whales have been spending less time here recently compared to a decade or more ago, one species showing the opposite trend is the humpback whale. 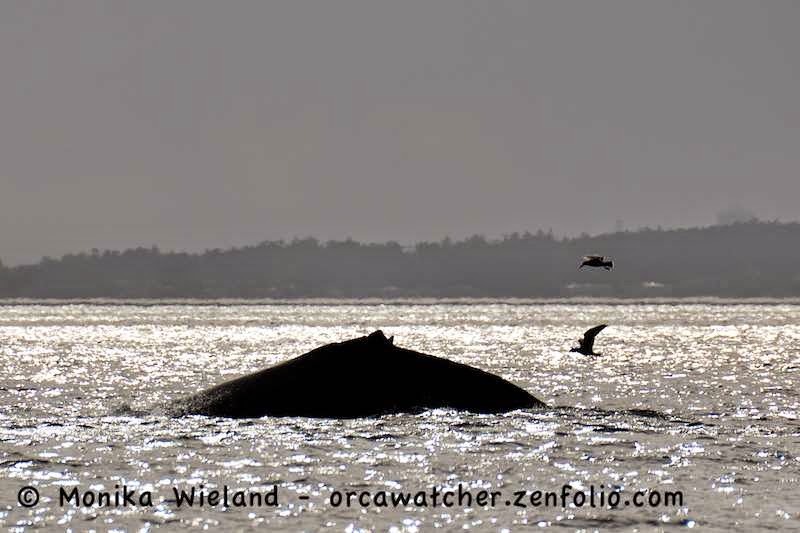 Ten years ago, humpbacks were a rare sight here, but now it seems like we're seeing more of them every year and for longer of the year each season. We've had some regulars hanging out a lot this summer, and one of them spent 3-4 days doing the "westside shuffle" last week: Split Fin. The story I've pieced together is that Split Fin was born to one of our other local humpbacks in 2006. 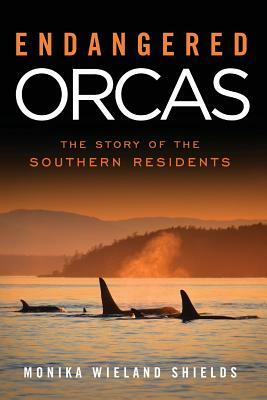 In 2007, he/she was seen with a freshly split dorsal fin, possibly from a vessel strike. 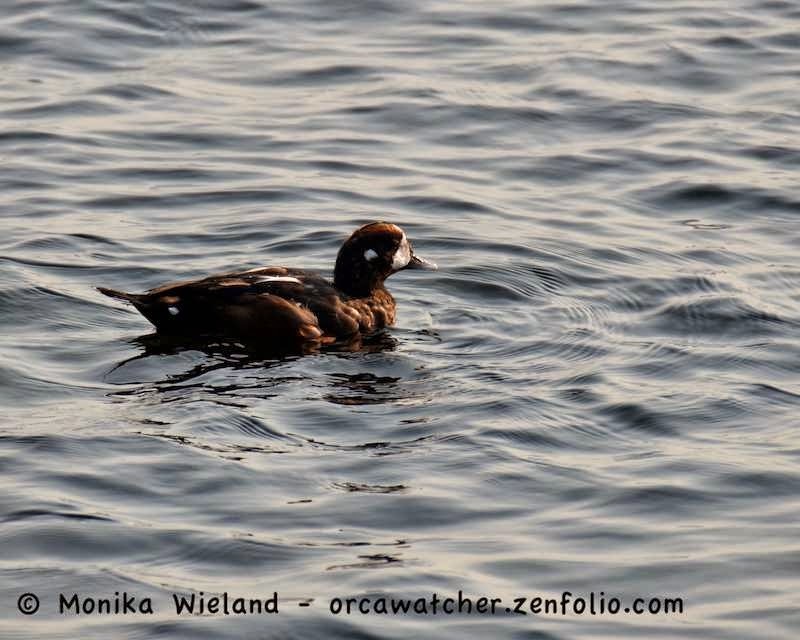 Despite the injury (which has made it a very distinct whale), this animal continues to frequent our local waters every summer, and is now a full grown adult! 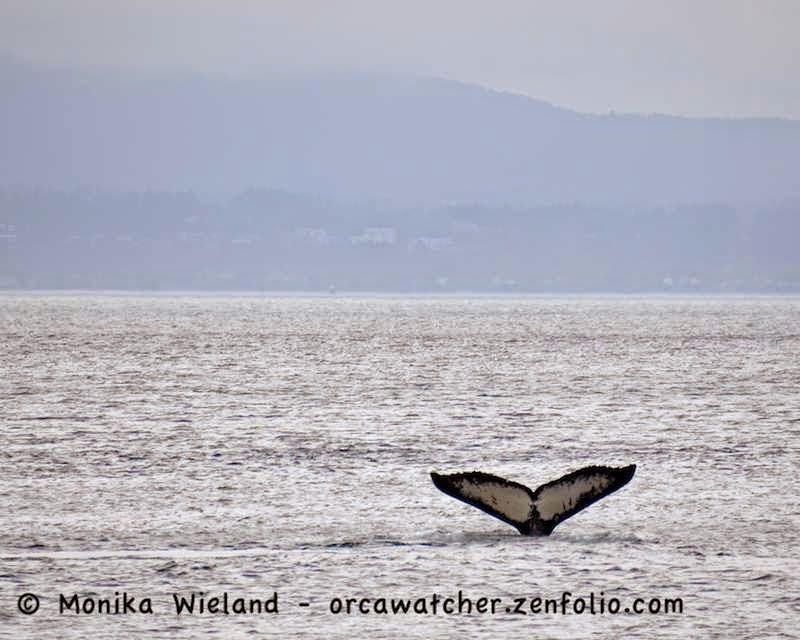 I went out to the west side to look for this humpback on September 24th, and was totally surprised when I got to Lime Kiln and the first whale I saw was an orca! Where did you guys come from? 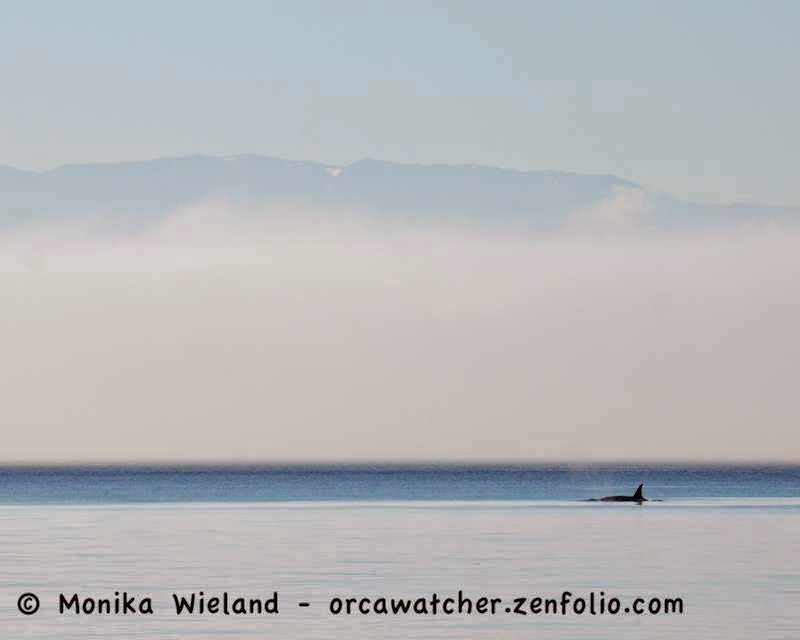 The orcas were heading north as the humpback went south, and I captures this distant shot of both species on the surface at the same time. They're undoubtedly aware of one another's presence; I wonder what interaction if any they have? 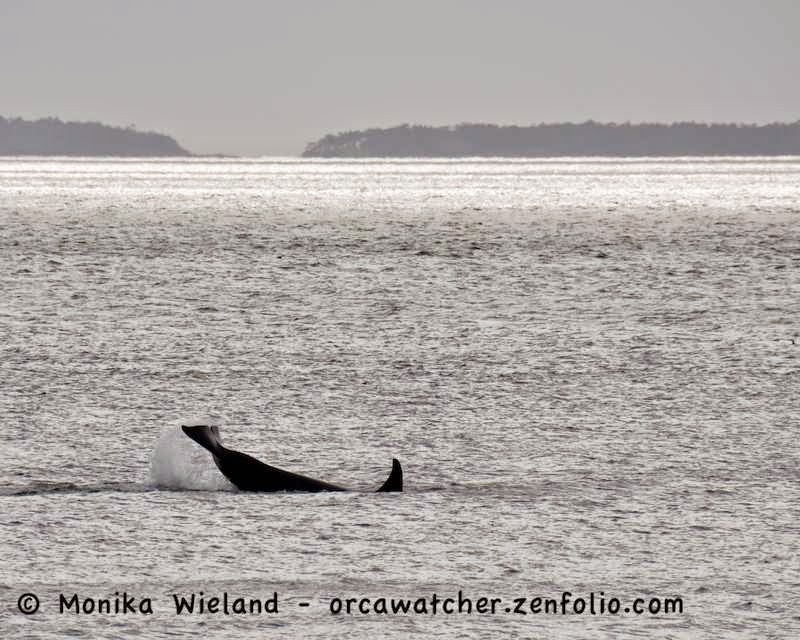 My first-ever photo of a humpback AND an orca! 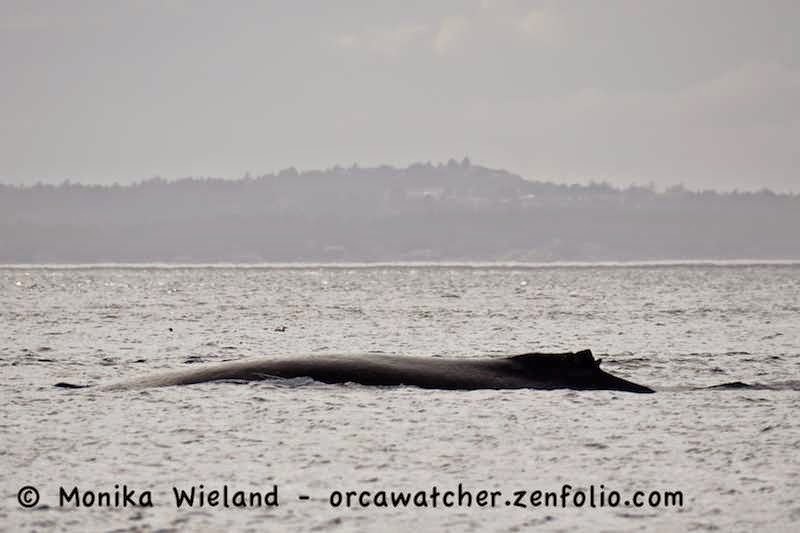 As the spread out orcas meandered their way north, Split Fin came all the way along the length of the shoreline at Lime Kiln about 100 yards offshore - my best shore-based viewing of a humpback to date! The whale was moving slow enough I could walk down to the next rocky outcropping in between surfacings. 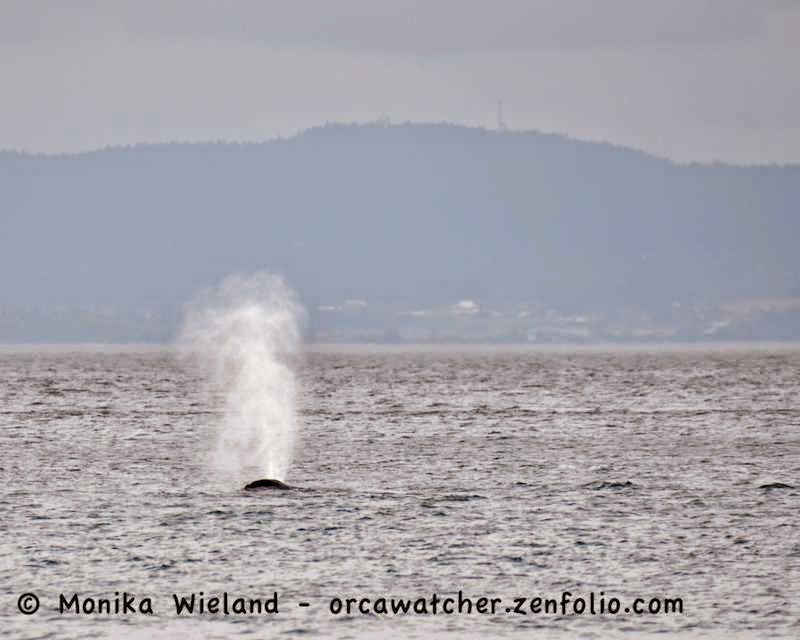 Humpback whale blows are much bigger and louder than orca blows! 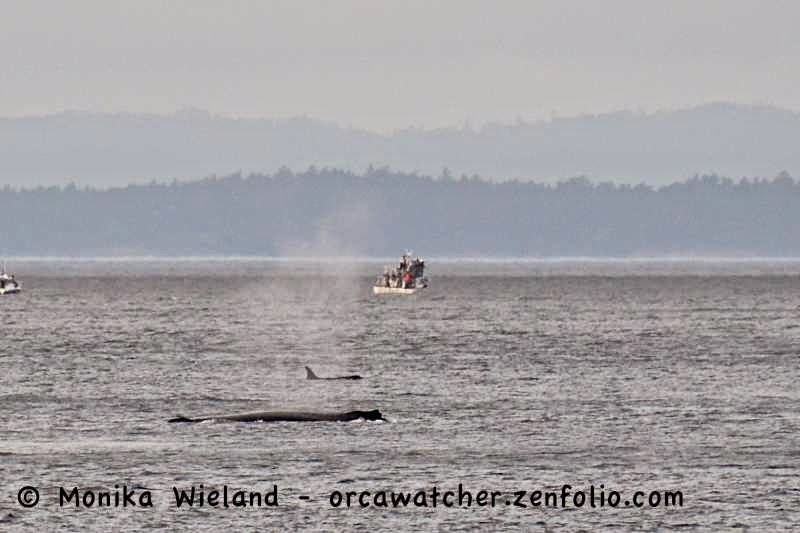 All of J-Pod and three K-Pod whales (K16, K35, and K21) have been around. Often this time of year, all three pods are traveling together. I can only assume we're seeing just a third of the population because there's not enough salmon here to feed everybody, like in years past. 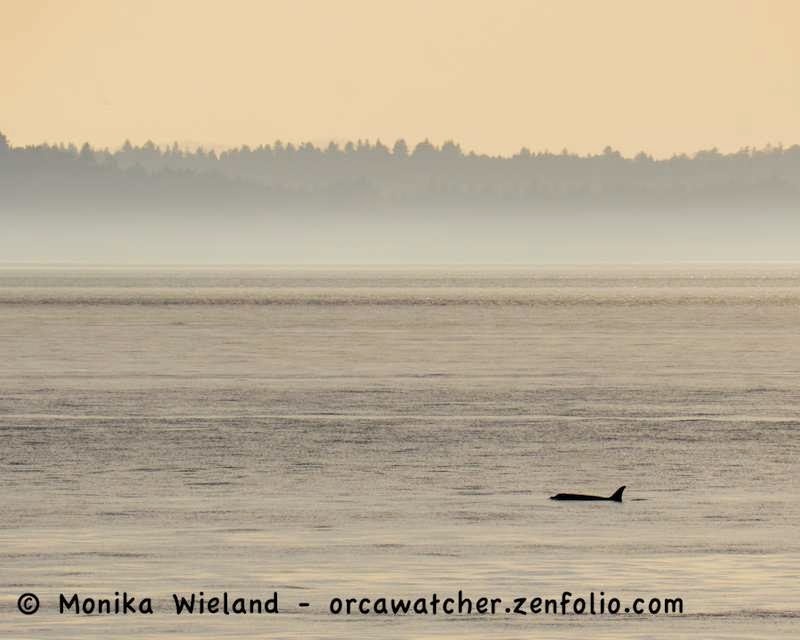 Still, even if there are fewer whales here, and even if they're further away than other times (like that last amazing encounter with J34 - see my previous post), every time seeing them is magical in its own way. 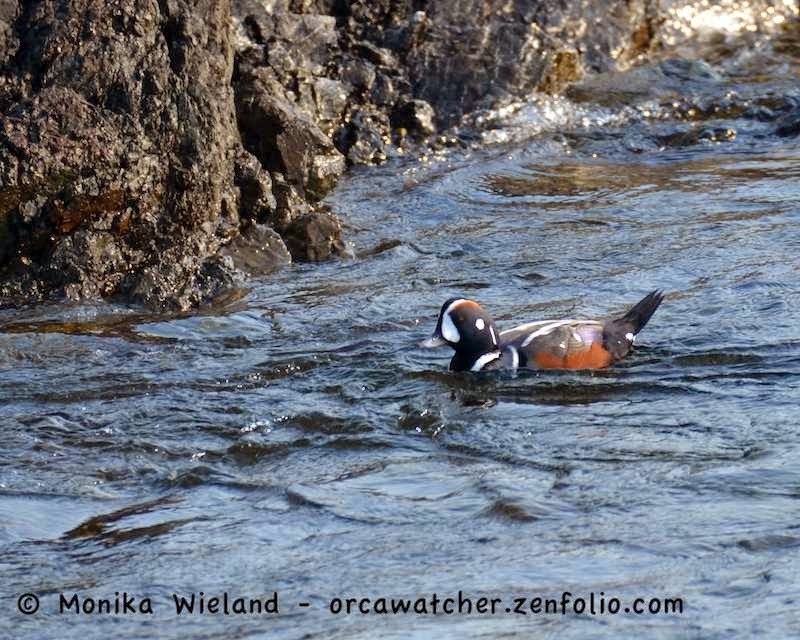 As beautiful as this week's worth of sightings were, the weekend would hold another day to remember, full of unbelievable wildlife sightings....stay tuned! What a strange, but beautiful, final photo!